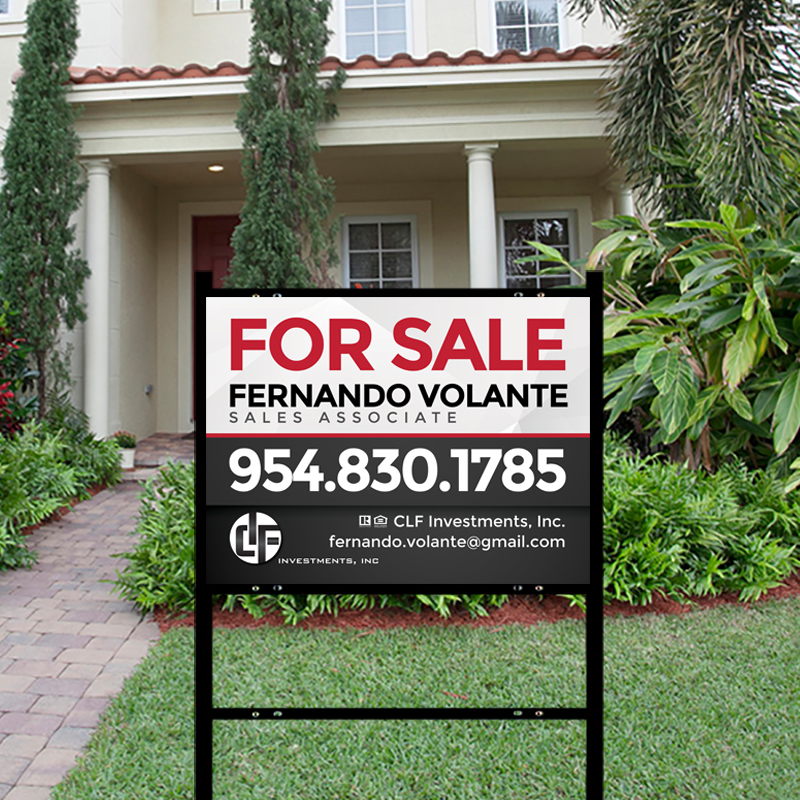 Type the name of your Real Estate Firm and enjoy a more personalized marketing experience. We are proud to be the preferred marketing vendors for many of the top firms in South Florida, if you can't locate yours here, please let us know! Creating a marketing plan and and coming up with new real estate marketing ideas to stay ahead of the competition can be tricky. We put together the ultimate list of great marketing advice from top-producing agents from all around the country. From the good-old farming postcard to leaving a memorable mark on your open houses, you’ll find everything you need here to kick start your brand and take it to a whole other level. We offers a variety of postcards specifically for real estate agents. Choose from one of our professionally designed templates or send us your own design and start your postcard marketing campaign today. Choosing the right farm area can mean the difference between becoming a local expert and closing a ton of deals and struggling. To help you get started, call us today 786.502.3223 or if you rather DIY make sure you read our highly detailed guide to choosing and dominating the right farm area. First impressions are everything. Make sure you are giving one by choosing one of our many options for business cards starting with our not so standard 16pt thick cards to our 32pt color edge cards. Choose finishes like Silk Lamination, Velvet Touch, Sandwich Cards, Clear plastic cards and much more! Prices start at $19.95 for 100 16PT Matte Cards. We offer a variety of one-sided and two-sided door hangers specifically for real estate agents. The fastest most affordable way to get your face out there! Rigid Coroplasts are typically used for yard, parking, real estate, and election signs. They are waterproof and ready to stick in the ground in 24 hours or less. Have you consider sending out thank you cards not only as your "thank-you-for-closed-business" but "thanks for visiting my open house", "Thanks for participating on our event"... you will be amazed on how far it gets you! Exaggeration is key! Just think about how many open houses your buyer will go through when considering buying? Exactly. Make sure they remember the house with the huge flag outside, or better yet the realtor with the big banner, the nice flyers, the thank you cards they got a couple of days after, the geo-tag facebook persecution, the postcard with the school calendar, etc. Here are some visuals to help you picture yourself being THE MOST PROFESIONAL REALTOR there is! Our Feather Flags are printed using superior direct to fabric dye sublimation equipment. 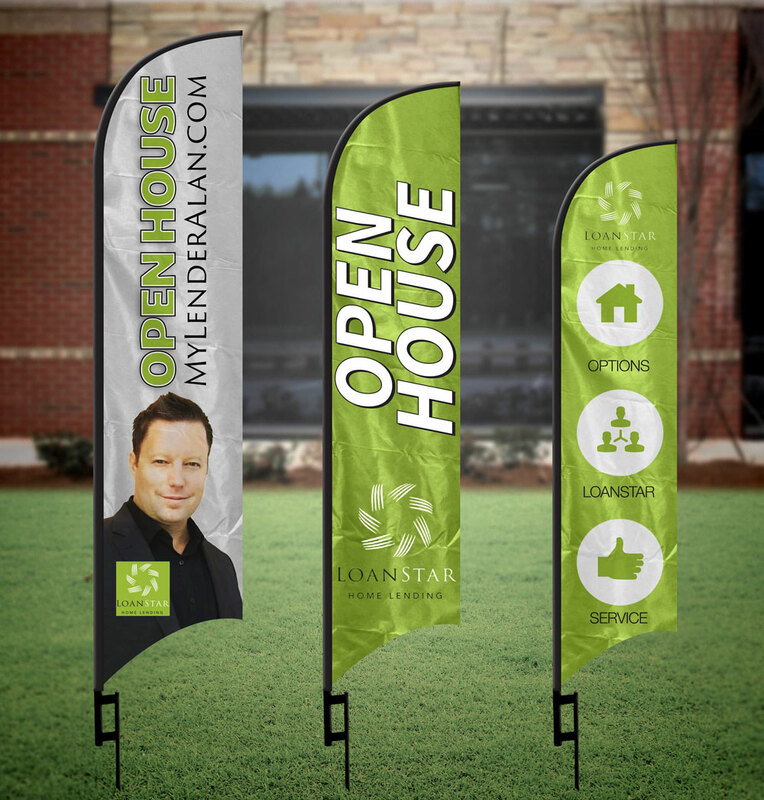 These premium quality flags are printed on 3oz Polyester. Ideal for advertising businesses, events, and trade shows. Maximum impact with minimal effort! Instantly promote properties and more with Tabletop Retractable Banner Displays, Foamboards with easel backs and more, perfect for customers on the go! Available in a variety of tabletop-friendly sizes, this product is ideal for pop up displays at trade shows, open houses, presentations and more! Need some inspiration? Check out our list of the top 33 real estate logos for 2018 here.